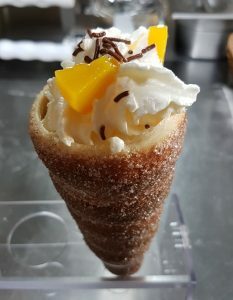 The doughnut cone,would you like to have more space the Chimney cake kitchen? 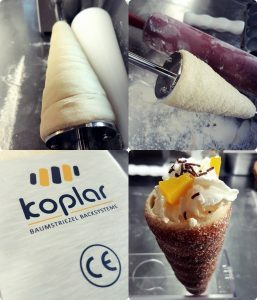 With our special tapered pastry with its conical shape, you can bake doughnut cone which resemble an ice cream cone but are warm, crispy and soft all at once. 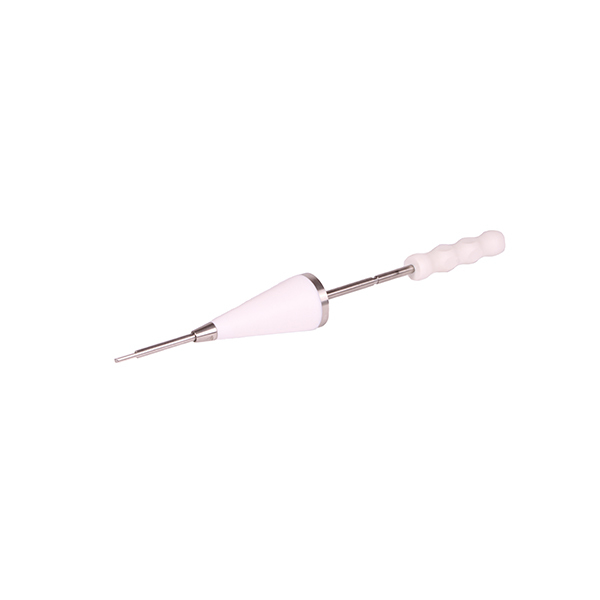 It is an ideal to-go product. 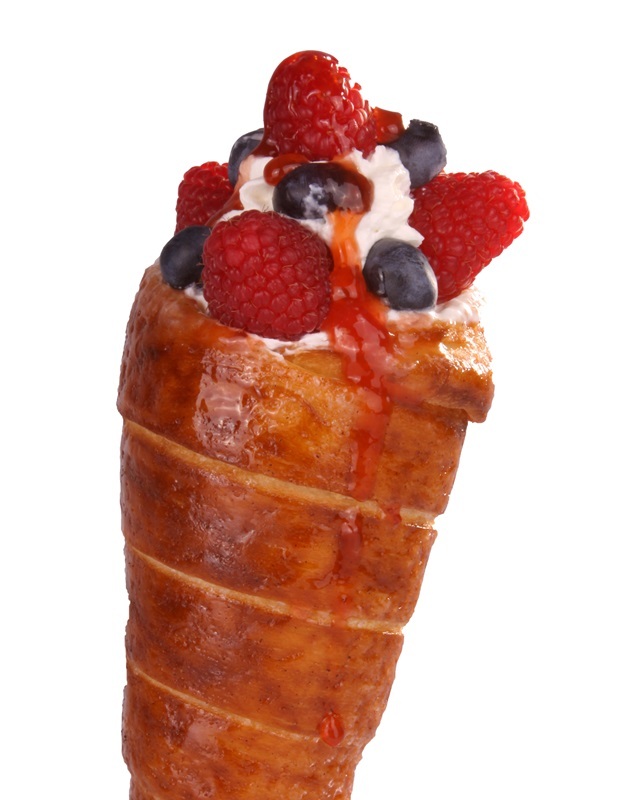 Let your imagination be your guide when deciding how to stuff fill this delicious cone pastry…. anything goes that tastes good. Give your customers something special. because for all concepts we have a suitable oven, it is always a show, because all work processes are presented to the customers, and that’s why. All devices must be accordingly optic and of high quality, and fast, because needed for a business the necessary productivity. 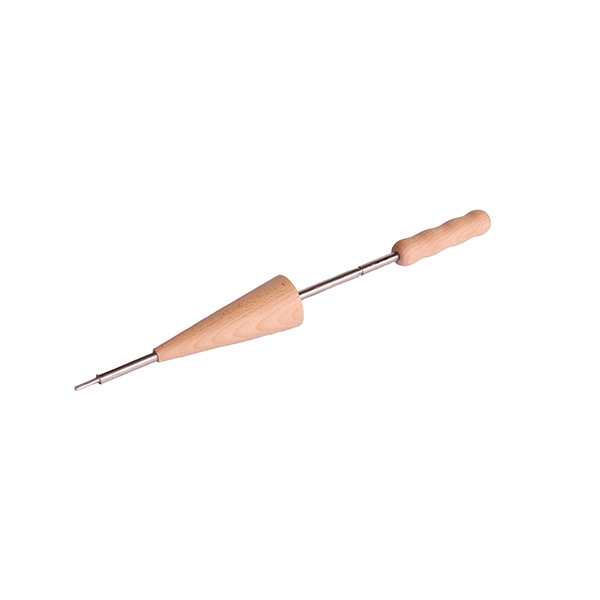 We have the traditional conical rolls made of wood/beech, and the stainless steel -teflon rolls. Because using wood in gastronomy is not allowed everywhere! The stainless steel teflon rolls are hygienic, easy to clean, are dishwasher safe,and do not need to be oiled. 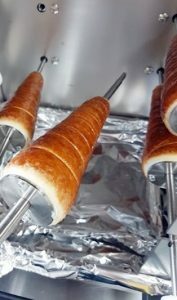 Our rolling machine can be used for the conical rolls. This means you can roll the dough onto the baking rolls in no time. 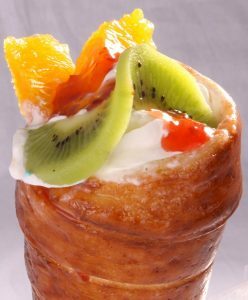 Chimney cake cones,Sweet varieties, for example, have different fillings, such as red fruit jelly with cream, fresh fruits and yogurt cream, various ice cream creams, chocolate sauce or egg liqueur. 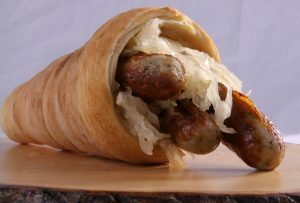 Savory Konos come with salmon, dill, horseradish and honey mustard sauce, mushrooms and fresh herbs or sauerkraut and grilled sausages. 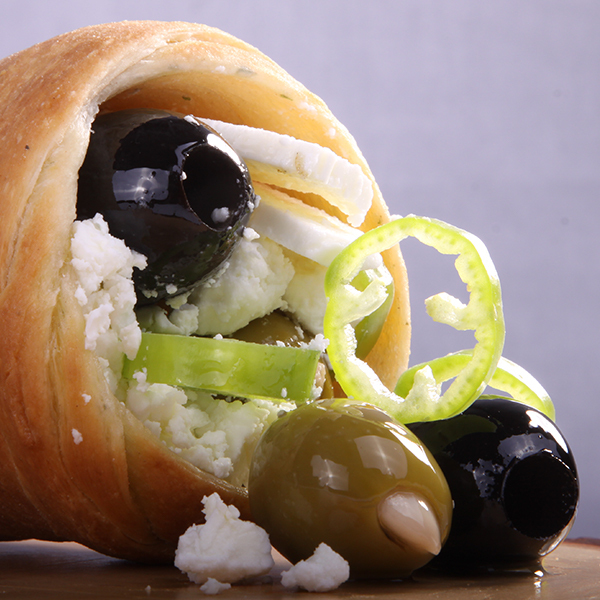 Everything is possible – and when done right delicious.